Finish with a nice hem. Cut a strip 9” the width of your quilt with fabric matching or complementing your backing. Piece multiple strips together to get the proper length. Fold each end ¼” and press, then fold another ¼” and press. Do same with other end. Your quilt sleeve will now be ½” shorter on each end than your backing. Sew each end in place. Make sure you keep firm creases. Press the sleeve in half, wrong sides together. Now open up and take top edge and line it up with the crease you just made. Do the same with bottom edge. Starch these two creases and press well until dry. Open up the strip and return to original configuration of wrong sides together. Stitch along long side using ½” seam. 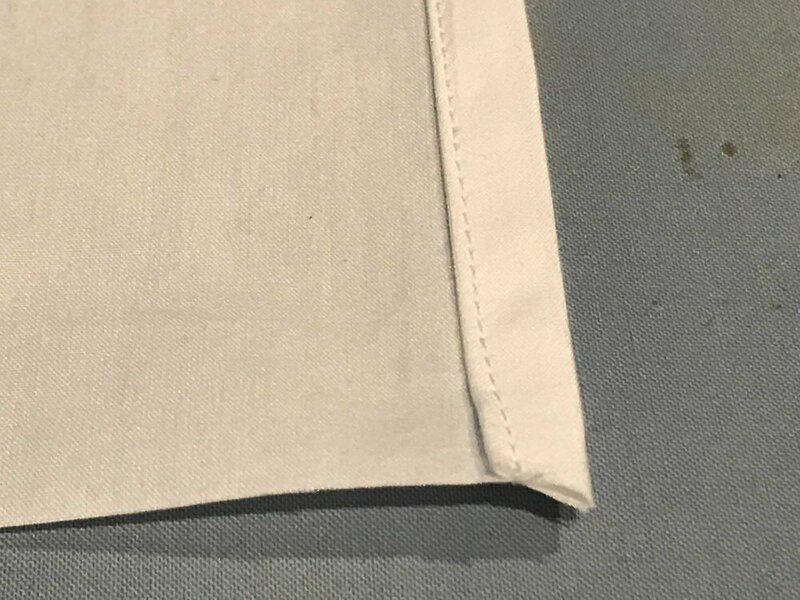 Carefully press open the seam, making sure to keep the two starched creases intact. Make sure to keep this D shape as you pin and sew it onto your quilt. Place the sleeve on the back of your quilt about ¾” below the binding, centering it using the top starched crease as a guideline. Pin in place. Now find the bottom starched crease (not the center one you made) and lay it flat along quilt and pin down. You will have 1” of extra fabric on the top. This allows for the wide dowels we use. Hand sew the sleeve in place all the way around, maintaining the D shape. Keep your stitches at no larger then ¼”. 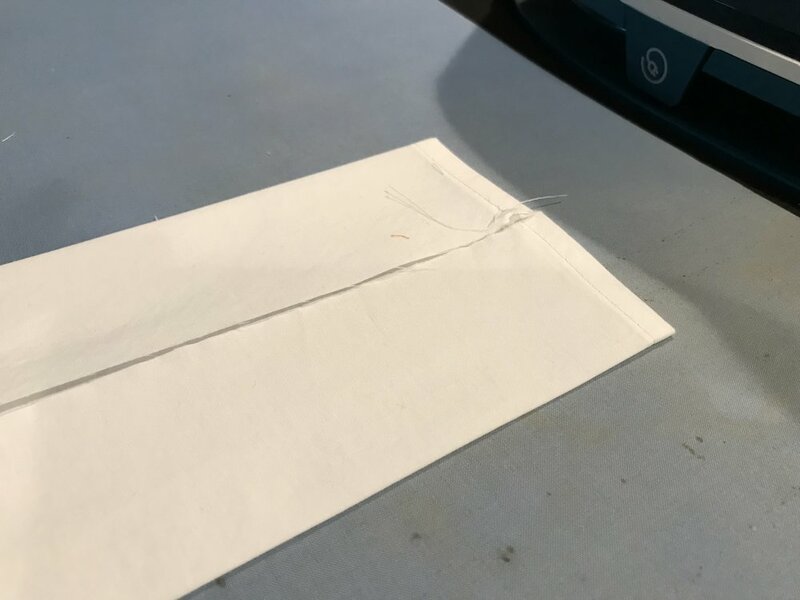 Once completely sewed down, press the edge from the bottom upwards and press flat.